Fentanyl Withdrawal: How Much Pain Can a Painkiller Cause? Fentanyl withdrawal, like any other opiate withdrawal, begins up to 24 hours after the last dosage; in the case of Fentanyl patches – when a person removes the patch. Symptoms, which include fever, vomiting, stomach pain and insomnia, peak during the first three days and decrease a week after cessation. However, cravings, anxiety, and depression can last up to a year. What are the most common withdrawal symptoms caused by Fentanyl? Fentanyl withdrawal is similar to any other opiate withdrawal. Some of the common problems are body aches, abdominal cramps, headache, fever, running nose, diarrhea, constipation, restlessness, vomiting, and paleness. Emotional changes involve depression and anxiety. Some of the cognitive problems include disorientation and cravings. All this can lead to dangerous and drug seeking behavior. To understand Fentanyl withdrawal we have to remember that this drug is one of the more severe opiates. If you wonder why, note that the drug is a widely given painkiller, which while more potent than morphine and heroin is legal. Due to its traits, such as the fast onset of action, this drug is very addictive. Many people suffer from chronic pain (as a result of cancer, for example) from the use of this drug. Such as, doctors and medical staff that have some free access to it, young people that experiment with recreational uses, and much more. 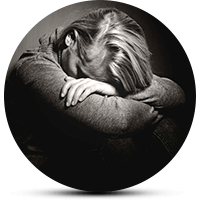 As any other opiate withdrawal, Fentanyl withdrawal can be painful, difficult and regarded as everlasting. Raised heart rate and breathing problems can also happen, which can be life-threatening. One of the worst results for many users is insomnia. Also, some people report feeling itchy when trying to get clean. Physical symptoms go hand in hand with emotional changes. Depression and anxiety cause further stress to the person. While, mental problems, such as confusion, can happen. As Fentanyl causes extreme addiction, cravings are very common and last long after detox. The symptoms stated above are not a complete list and can’t give a full understanding of the problem. Withdrawal is, by many users as a nightmare. What’s more, the return of the pain that was supposed to cure in the first place scares many users. Sadly, it makes people rarely stand the detox process without going back to their drug. Fentanyl withdrawal is painful and scary. Even people who have gone through other withdrawals admit that Fentanyl is hell. According to the National Library of Medicine, withdrawal starts within about 12-24 hours after the last use. However, these numbers vary between users and depend on the history of abuse. It’s interesting to note that worn patches are one of the most used forms of the drug (which action lasts up to 72 hours). Also, it has a long half-life, and as a result, withdrawal begins a whole day after one removes the patch from their body. Fentanyl withdrawal symptoms divide into two parts: the first part includes issues like muscle aches, fever, etc., and second by vomiting, paleness, and many emotional changes. Withdrawal symptoms peak in the first few days (around 72 hours) after detox and wear off within a week. However, emotional problems, such as panic attacks, can last up to months, and cravings can continue longer. Scary enough, some post severe withdrawals can even last over a year. There is no exact timeline for withdrawal because it’s very individual. There’s one thing in common, though: staying strong is vital no matters how much pain it costs you! When it comes to Fentanyl withdrawal, emotional support is key to help the person and keep them clean. To get clean instead of going cold turkey, try to ease off. Going cold turkey can be bad and just like an overdose, can cause coma and death. Always have a health expert help you with your detox plan. Sometimes drugs, such as Methadone, Suboxone or Naltrexone can be given, but have in mind that you might have to clean your body from them. Because treating addiction with an addictive medication is not very helpful. Users suggest different activities and enough vitamins, such as Niacin (Vitamin B3), to keep fit. Often benzos like Klonopin can be given to treat the emotional changes caused by a Fentanyl addiction, such as stress and panic attacks, but again – remember that these drugs are also addictive. Fentanyl is a painkiller that can cause a lot of pain, but bear in mind that going through withdrawal is something you can do! Addiction Resource » Addictive Substances: The Anatomy of Drug Addiction » Fentanyl Abuse and Addiction: A Complete Guide » Fentanyl Withdrawal: How Much Pain Can a Painkiller Cause?